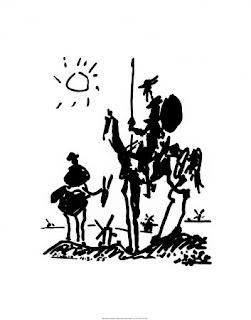 I’ve never actually read “Don Quixote”, but, I’ve seen a bit of one of the movies, I’ve read the cliff notes, I’ve heard of the story all my life. 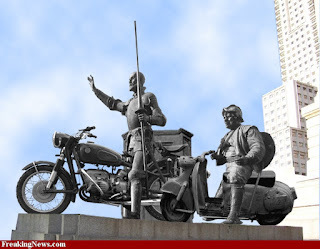 The story is famous; statues in Spain attest to its great appeal to all and sundry, people are always using “Don Quixote” in comparisons and anecdotes. I forage in small unknown places for those who need, or want, to hear what I have to say. I hope to “save” them by brightening their day or helping them feel they aren’t alone in this huge ungainly world. 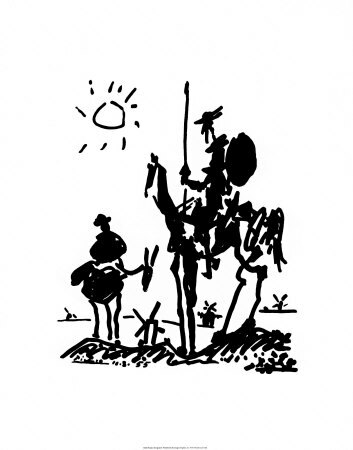 I fight insidious yet brave battles of doubt, mistrust in myself, in others, in putting on a ‘good face’ to this challenging countryside called life. In my travels I find at times bright kernels of truth and wisdom, of friendship and guidance. At times the findings are not so sweet. I find depression, angst and repentance. I find this path lonely, even with my trusty ‘steed’, my computer, and beloved ‘follower/helper’, my husband, accompanying me along this treacherous, exciting, dangerous and exhilarating path. I reside in my head, alone and unable to reach into others’ heads. I can only proceed with faith that when I touch another soul upon this plain of existence, that I touch it well and leave it feeling better for having known me, having read my words. 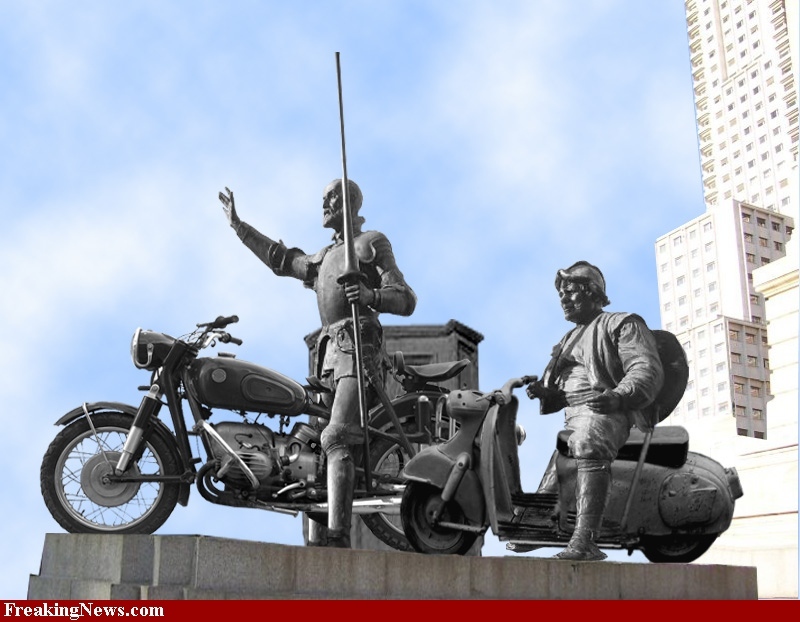 Only time can see if I too, will have “statues” erected in honor of my efforts, achievements and colossal deeds. Only time will give me dignity and grace and hopefully erase my faults and human frailty. I will continue my quest for honor and truth, happiness and success, and pray for the day to come where I appreciate, for myself, what I have accomplished. Hopefully that day will arrive before I die! Carry on, brave readers, I am leading the way!